This is as casual as you'll ever see me. 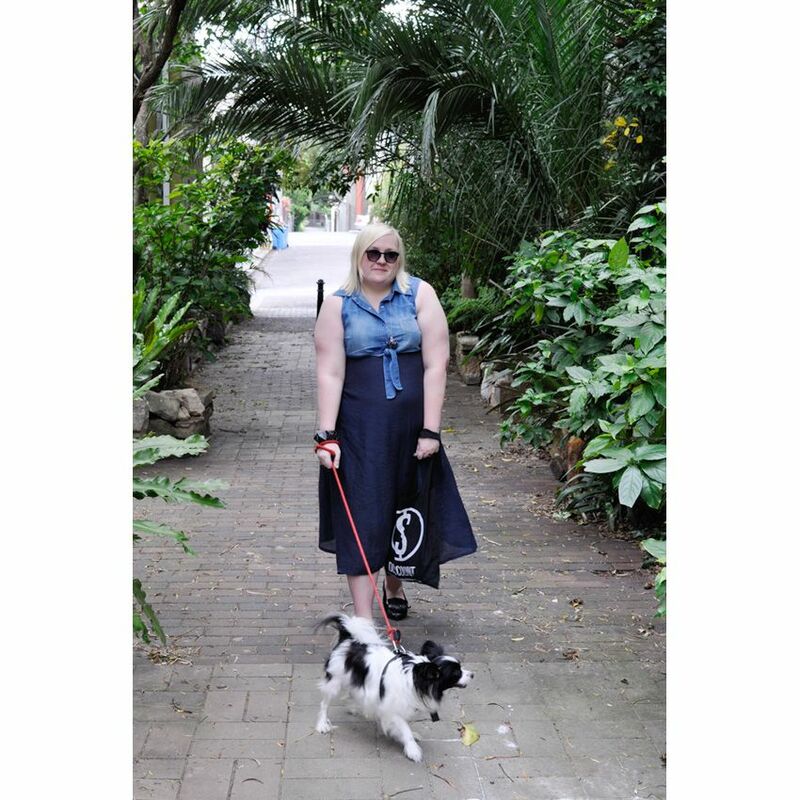 A simple blue maxi picked up at Glebe Markets worn with my trusty old denim vest and simple loafers for some dog walking and brunch in Darlington. I love how pretty the streets are in my local area, every day I see something unexpected on my walks with Hachi. Today we found this fern pathway by taking a new route home and we just had to stop to take some outfit photos. Rings MOMA NYC and Corky Saint Clair. You look so casual chic in this outfit. You look so free and like you're just enjoying the weather. 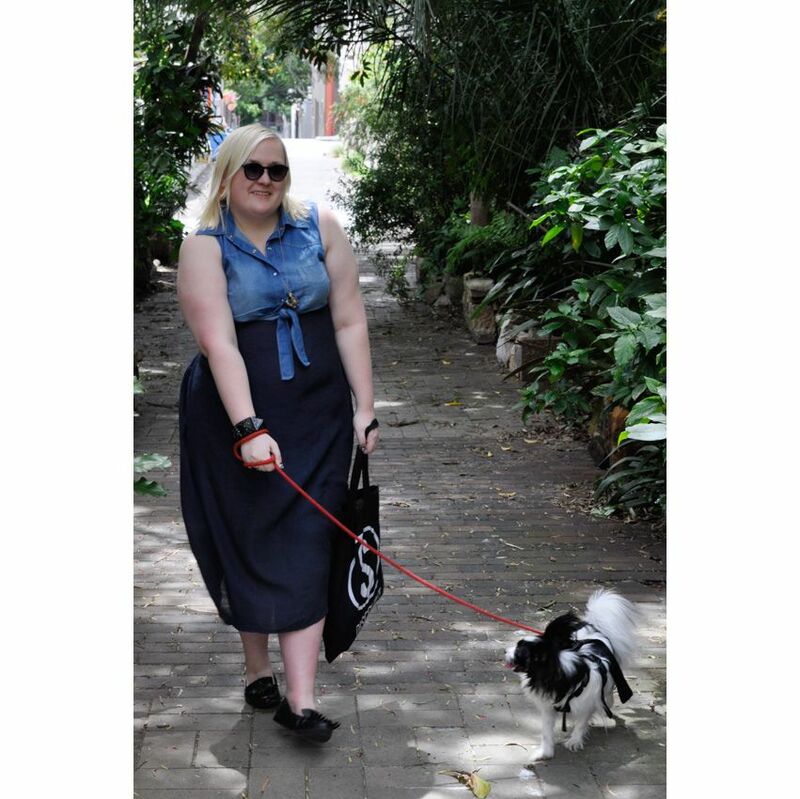 I don't have a dog but ducking down to Gertrude St for coffee look is very similar. Oh Hachi is super adorable! I really love the blue palette in this. I'm not a huge fan of denim, but that vest looks great!